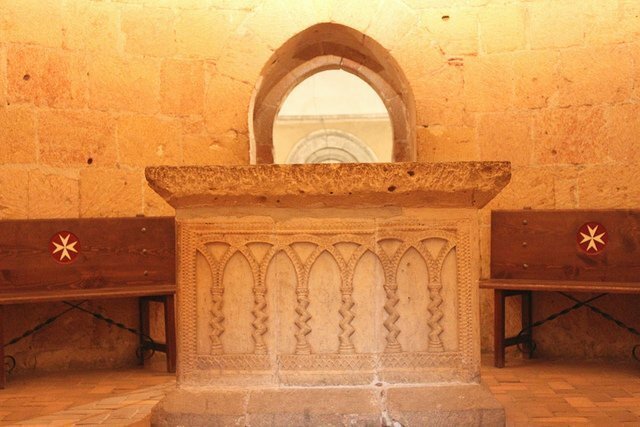 The Vera Cruz Church (St Croix) was founded by the Knights of the Holy Sepulchre in 1208. It kept for centuries the relic of the Lignum Crucis (the cross of Christ). 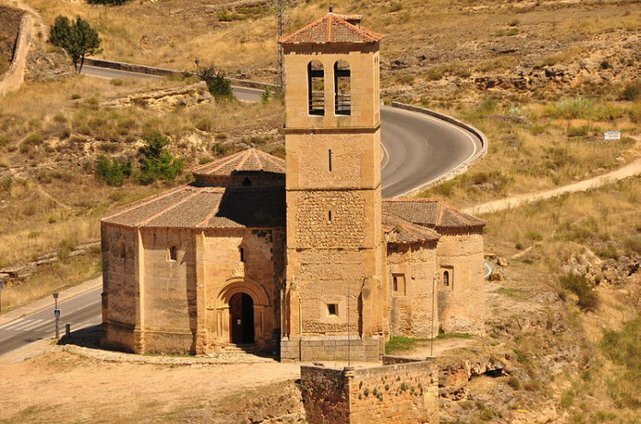 This is one of the most original churches of Spain. It was built on a twelve-sided base, around a central shrine with two heights and four apses. The Church of the Holy Sepulchre in Jerusalem was used as an example for its construction. The inside is very sober and moving, with a mysterious aura. It currently belongs to the Order of Malta. There is a legend saying that in the past a templar died at the door of Vera Cruz Church while it was defending the Holy relic. His body was installed inside the temple to be sat with, but when everyone was gone, crows entered by the windows. The next morning, there was only a skeleton left. So, the prior of the order declared: "I curse you, repulsive birds, for having profaned this holy place! As a punishment, you shall never land on this church's roof." This explain why nobody has ever seen these birds get close to the Vera Cruz Temple. According to another legend, for centuries, the swallows had nested in the Vera Cruz because since they had taken off the thorns of the Christ's crown, they were the only ones who could keep an eye on the Holy relic.